Garden Cafe. This lesser-known find offers something unique, tasty and fun. With a verdant feel, great fresh produce and its dog friendly atmosphere this secret spot may not remain so for long. Cane Russo. If you are out searching for amazing food and a place Fido will love, then Cane Russo near the heart of downtown Dallas may be your destination. There is a reason why this particular restaurant isn’t so secret! Katy Trail Ice House. Also no secret among dog lovers, this rest stop along the Katy Trail is the ideal place to break after a good brisk walk. Quench your thirst with a cold beer and a welcomed bowl of water for your best friend. Lazy Dog Restaurant & Bar. Well the Lazy Dog may be the winner of the best named dog friendly Restaurant Bar. Located a bit north of the city, it is well worth the short hop. How many other restaurants are literally going to cater to both you and your canine cohort? Lee Harvey’s. Speaking of interesting names! Don’t be fooled this dog friendly bar can be howling good fun especially on Sunday’s, which is especially designated as dog day. Owners might join in on some of that howling good fun with $2 drink specials too. Eastwood’s. This new establishment that opened on St. Patrick’s Day isn’t merely a restaurant that accepts dogs, it was designed with dogs in mind! Perhaps too new to make a “thumbs up” or “thumbs down” call, that is probably a decision you and your pup should make together. Vickery Park. Having a dog friendly patio, a staff known to be particularly welcoming to your pooch and also noted for being very accommodating for larger dogs, Vickery looks to be a victory for you and your dog. Mutts Canine Cantina. One of our personal favorites, Mutts’ is a restaurant, dog park and even has membership options. All about our four-legged friends, they also have a menu devoted to our best friend. LUCK in Trinity Grove. An open and inviting patio, large outdoor eating area and a staff that promises to treat your pup right, do we dare say you are in luck at LUCK’s? Ten Bells Tavern. Ten Bells had to be on this list because it is not only a fun and friendly hangout for dogs and their owners, but even cat owners can find a warm welcome here. Yes, this “animal” friendly spot believes in equality for all. Life in Big “D” has much to offer, and that doesn’t exclude plenty of fun and activities for animal lovers and pet owners too. This short sample of these top dog friendly spots is only a hint of all Dallas has to experience and explore. To find out more about pet friendly restaurant and bars, the social scene or local Dallas events contact us. 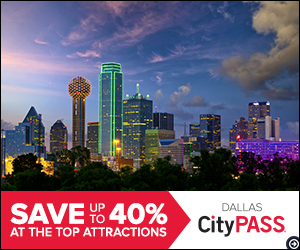 We will help you find the best Dallas has to offer, even if you don’t own a pet! Discover Dallas today.